From its beginnings in the management of data centres, workload automation (WA) is becoming a foundation upon which IT departments are building their wider IT systems. In essence it's a background IT process that can automate an expanding number of business systems to cut costs and improve efficiency. What was once simply closed job scheduling has evolved into completely integrated and open workflow management systems that touch every aspect of a business's IT. 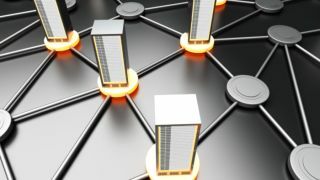 A Forrester Consulting report for BMC Software says it provides "a single point of control and a new level of efficiency to the new constraints of planning, executing and monitoring asynchronous applications in a distributed, diverse, and complex IT environment." WA has become more important as businesses have moved from management of single applications to more complex, multi-user and multi-disciplinary systems that link back office processes with desktop, mobile and cloud delivery. In a complex infrastructure, WA is critical in scheduling a range of processes, such as database queries, backing up data to external hard drives or cloud deployments. Its performance looks set to improve as it is being further developed with virtualisation. "With an increasing number of requests coming through, IT departments recognise that they need to manage workloads more effectively and streamline processes," says Jonathan Thorpe, Product Marketing Manager at application lifecycle management vendor Serena Software. "It's less of a goal and more of a solution to removing bottlenecks in processes as this hinders the delivery of services back to the business. Automating workloads can have benefits for both front office IT processes such as the service desk and back office ones like software development." Developments in IT are creating the conditions for a sharp growth in WA, according to Terry Walby, UK MD of infrastructure company IPsoft. "Firstly, IT departments that are still on the perpetual 'do more for less' quest are realising that automation is the only way to realise step changes in efficiency and cost reduction," he says. "Automation technology has matured beyond simple run book automation and scripted procedures to genuinely be able to deliver full workload automation – the replacement of not just tasks, but complex roles with end-to-end dynamic automata (any system that the WA is managing). Additionally, the increasing use of virtual and cloud based resources make the potential of automation even greater, and it's use even more relevant." One of the major issues in implementing WA or upgrading existing processes is how to create an organisational map. Workloads can cover any process not performed by a CPU, so the WA platform can have a wide remit, from security features to database transactions. The product of these workloads can be delivered to a number of destinations, including desktops, mobile devices, servers – both physical and virtual – and the cloud, which has its own variations. Martin Scovell, CEO of MatsSoft, which provides a WA cloud service, says: "The ideal is a managed solution that can be brought into a business department, and can be applied and configured quickly and effectively to workflow challenges and business process improvements. "This is without developer or programming input, with the resulting solution being quickly and easily piloted to prove a business case or meet ROI requirements." He advocates a solution that integrates WA with multi-channel communications with customers, real time performance monitoring and management information. It's also important not to see this simply as a software solution. Serena Software's Jonathan Thorpe says: "WA is less about tools and more about understanding how things link together. "Using out-of-the-box automation capabilities instead of creating custom scripts that take up manpower should save time and money and increase reliability. "An example would be when an application container version is updated. This would frequently require extensive testing or potentially new scripts to be created. Using out-of-the-box integrations means that upgrading to newer versions of a technology is often painless." Implementing a WA platform also means paying close attention to its maintenance. "IT infrastructures change," says Terry Walby. "Operating systems, databases and applications get modified and upgraded; virtual machines get moved, resized and repurposed. "As a result, some of the challenges in deploying successful workload automation relate to the in-life maintenance and upkeep of the automata." He says the best WA solutions incorporate dynamic rulesets and autonomic (self-learning and self-healing) processes, so the maintenance of the automata is itself automated. It's also better to automate deployment of scripts and routines and keep local deployment to a minimum. For most companies the deployment of WA platforms is simply a matter of when this will occur. Chris Lentz, Director of Product Management at Redwood Software sums it up as becoming one of the core pieces of the automation toolkit. "No one automation tool can do it all," he says. "There are simply too many unique workflows and activities that are critical to IT and the business – and must work together – to elevate one or the other. "The future is process automation, and specifically, business process-centric automation and orchestration. Focused on business outcomes, and driven by business priorities, automation will connect policies, people, applications, and systems to optimise existing resources and workflows."